Otis Library will be hosting a series of programs in April, 2018 to celebrate the Harris sisters, Norwich natives and students at Prudence Crandall’s school for young African-American women from 1833 – 1834. The umbrella theme for the month is access to education. Prudence Crandall is justifiably celebrated in Connecticut as the State Heroine. Less recognized are the black students who assumed enormous risk to receive an elite education. Indeed, the stimulus to the establishment of the academy was the repeated requests of Sarah Harris to take classes at the then all-white school. Sarah started taking classes in 1832; the resulting withdrawal of the white students from the academy and subsequent establishment of an all-black girls' school in 1833 constitute a remarkable chapter in the annals of abolitionist history. Sarah Harris and her sister, Mary, were key in this brave, transformative effort. Throughout the month of April, items on loan from the Prudence Crandall Museum will be on display in the Otis Library atrium display cases. Text on the history of the school will be displayed in the Community Room. On Friday, April 6, the library will host the opening of the student art exhibit “My Teacher Taught Me…” Children from pre-schoolers through fifth grade will exhibit art – paintings, drawings, collage, and assemblage – that illustrates an important lesson or skill learned from a teacher. The event will take place from 6pm – 8pm in the Millie and Martin Shapiro Community Room. Guest speaker will be Norwich resident Lottie Scott, who will present compelling monologues based on her childhood in South Carolina. The exhibit will be on display during the month of April. On Saturday, April 14, at 1pm in the Community Room, Professor Jennifer Rycenga will give a talk on the history of the Prudence Crandall school, with an emphasis on the black students, including the Harris Sisters. Professor Rycenga is Professor of Comparative Religious Studies at San José State University. 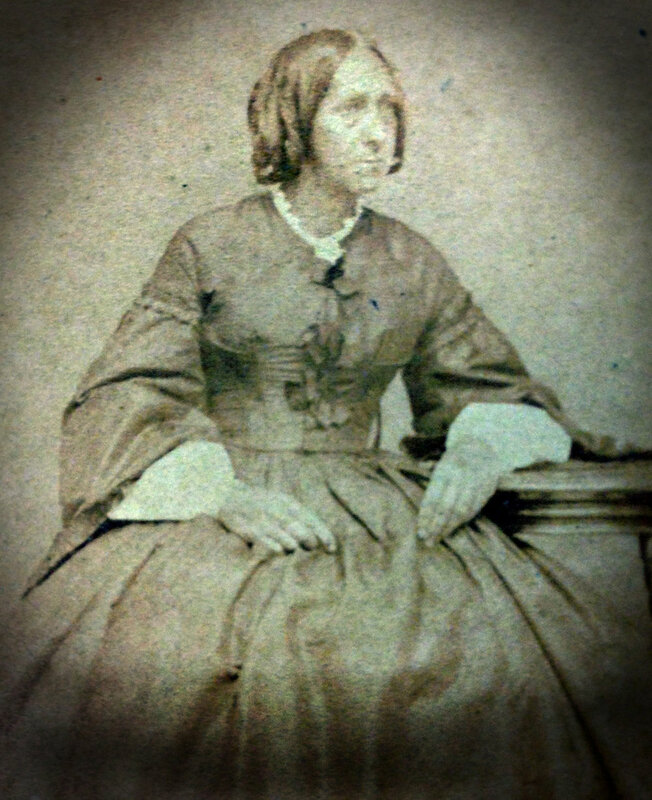 She is currently finishing a comprehensive cultural biography of Prudence Crandall (1803-1890). Faye Ringel, retired Professor of Humanities at the U.S. Coast Guard Academy, will give a talk on Norwich native Lydia Huntley Sigourney (1791-1865) on Saturday, April 21, at 1pm. Mrs. Sigourney, a well known writer of her time, had a deep commitment to the education of girls, including African American, Native American, and Deaf children. Lydia Sigourney never abandoned her passion for Deaf education, remaining a supporter of the nation’s first school for Deaf children in Hartford, CT, until her death. This program will take place in the Story Room. PLEASE NOTE: THE APRIL 28 PROGRAM HAS BEEN CANCELED. Otis Library will host students from the Norwich Free Academy on Saturday, April 28, at 1pm in the Community Room. The students will present a variety of spoken word performances – reminiscence, monologue, poetry – on the intertwining themes of education and liberation. All programs are free and open to the public. No registration required. Sign language interpretation will be available if requested one week prior to each event. Descriptive tours of the exhibit will also be available upon request. Please contact Elanah Sherman at 860-614-7200 or by e-mail at elanahs@gmail.com for interpretation or descriptive tours. These events are sponsored by The Elsie Brown Fund. For more information, contact Julie at (860) 889-2365, ext. 128. Otis Library is located at 261 Main Street in Norwich and is accessible to people with disabilities.